After many months of thought, deliberation and discussion, I have decided to seek the office of the Presidency of the United States. I understand the odds, particularly in today’s political climate where fair debate is so often drowned out by huge sums of money. 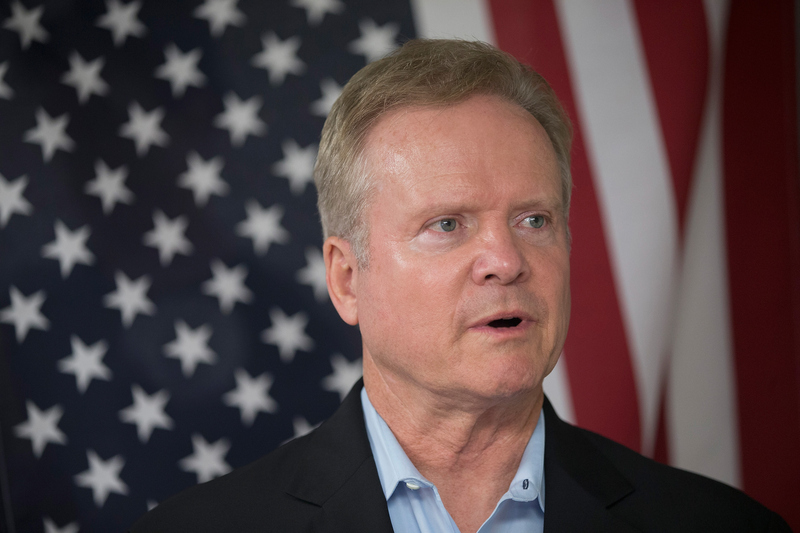 Webb, 69, served as a U.S. senator from 2007 to 2013 and, as a former Marine Corps officer, he held the office of U.S. secretary of the Navy under President Reagan. Webb formed a presidential exploratory committee in November and has held multiple events in Iowa since then. In his announcement statement, Webb said that America needs a "fresh approach" to solving our problems and we need to "shake the hold" of political elites — he hopes to be that new approach. He's no doubt referring to Hillary Clinton, his biggest competitor, when criticizing political elites and expensive campaigns, but he'll need to gain a lot of support and name recognition in order to beat Clinton, and even Bernie Sanders, the Democrat's current number two candidate. There seems to be mixed emotions about the new Democratic candidate, but only time will tell if he can actually make a name for himself in this race.